If driving a truck or semi is the way you earn your livelihood, a dash camera for your vehicle is a definite must-have accessory. Dash cameras provide truck drivers with irrefutable evidence of everything that occurs on the road. Whether you are involved in an accident, or are pulled over for a driving violation you believe never occurred, or you simply want to capture the beauty of the changing scenery as you move across the landscape, dash cameras for trucks can do all of these things and more. For all drivers of large vehicles, commercial or private, the likelihood of some unforeseen event occurring while you are in your vehicle increases substantially due to the size and weight of your vehicle. To protect yourself and to protect your company from any liability should something occur while in transit, buying a dash camera will give you the peace of mind you’re looking for while putting in all those miles. For large vehicles, commercial or private, choosing the right dash cam can be tricky business. Most likely because of the length and width of the vehicle, you’ll need something with a wide-angle lens. But as most dash cameras these days already come equipped with this as a standard feature, the number of options available can seem overwhelming at first glance. Fortunately for you, we’ve put together a comprehensive list of the best dash cams for trucks and larger vehicles. Below you can find a list of great options which work well with bigger vehicles. For all those hours spend on the road, it will be well worth it to have a backup eye watching over you and your vehicle. Depending on your price range and specific requirements, you will be sure to find something that satisfies your specific needs from the following list of best dash cams for trucks. The WheelWitness is a great choice if you drive a large vehicle like a semi or 18-wheeler for a living, or if you privately own a large automobile. 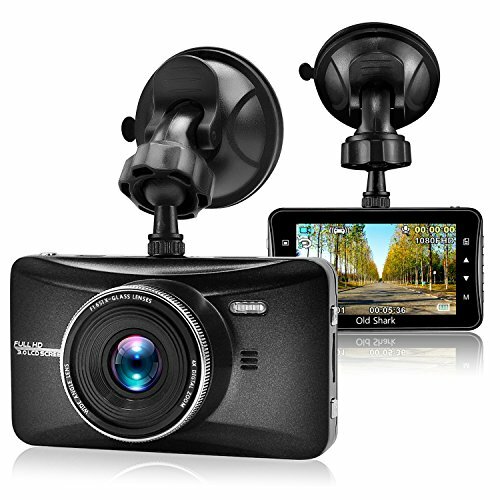 It boasts the highest resolution of any dash cam we’ve come across, recording in an impressive 2304 x 1296P resolution. This means that your footage is always crisp and clear, which is especially helpful if you need to zoom in on details like a license plate or the identifying facial features of another driver. The large 3 inch screen displays footage real time and can be used to playback footage right then and there, so you won’t even need to transfer the footage to another screen unless you so desire. Furthermore, the WheelWitness comes equipped with 170 degree wide angle technology which means that drivers of larger vehicles will be able to record and view more of the road in front of them. The WheelWitness also comes with GPS technology based in Google Maps so drivers can pinpoint the exact locations where incidents occurred. Professional drivers can even use this feature to review their own routes or the routes of whoever else was driving the vehicle! The ITrue X6D offers an attractive alternative to the WheelWitness at a comparable price. The unique triangular design with rounded edges disguises the fact that it’s a recording device. So if it’s stealth and secrecy you’re looking for, the ITrue X6D is the dash camera for you. Instead of affixing to the windshield with a suction cup which is sometimes an aesthetic flaw, the ITrue X6D can attach anywhere handsomely with a single piece of 3M adhesive tape. Perhaps it’s greatest feature is the fact that it comes equipped with both a front and rear camera allowing you to film both in front of the vehicle and behind at the same time. This means you can simultaneously record the road in front of you while also taping footage of what goes on in the cab or at the back of the vehicle in case someone rear ends you. Aas the camera starts automatically as soon as it detects the vehicle is in motion, in this sense the ITrue X6D offers you total, maximum coverage. 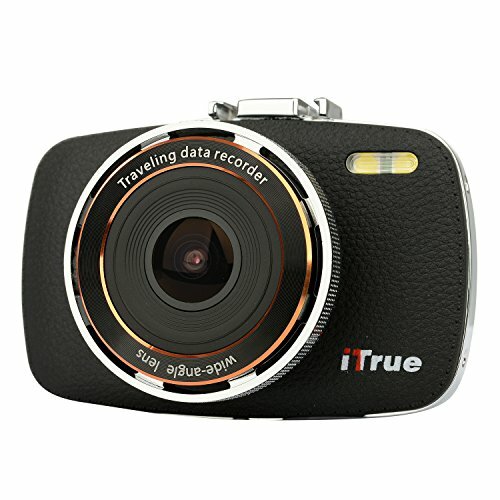 The ITrue X3 is shaped like a point and click camera with an attractive stitched leather front which can cut glare and reflection coming from large windshields. The ITrue X3 is a small camera, weighing a mere 4 ounces, easily hidden within the cab of your large vehicle. The endless looping mode of the ITrue X3 means that old files will be rewritten over starting with the oldest files first. For those that drive for a living and require both hands on the wheel at all times, this is a great option. Also the ITrue X3 comes equipped with an 8GB micro SD card which means the product is ready to use out of the box. It boasts superior night vision capability and super wide 170 degree angle recording, excellent for those who routinely drive large vehicles. The Rexing S300 records footage in full HD at 1920 x 1080P. Filmed with a world -class six-glass lens, the Rexing S300 boasts especially good night vision capability, making it a wise choice for truckers who have to haul late into the night. Additionally, the battery of the Rexing S300 has been approved to work in extreme temperatures, having received a certificate of approval from the PONY Lab. Capable of withstanding temperatures as low as -40 degrees Fahrenheit and temperatures as high as 170 degree Fahrenheit, the Rexing S300 is the right choice for cross-country truckers who may be driving through a variety of weather conditions. The Rexing S300 is attachable with an adhesive mounting pad as opposed to a suction cup so it won’t get in the way of your field of vision as you drive. 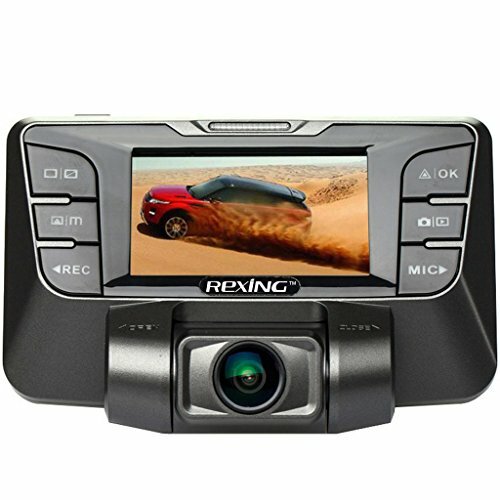 No matter what time of day you drive, independent of the weather conditions outside, the Rexing dash cam is another good option. Like the Rexing S300, if you are traveling through extreme climates, you might want to consider the KDLINKS X1. This camera has also been tested and approved for temperatures as low as -40 Fahrenheit and as high as 170 degrees Fahrenheit. The KDLINKS X1 also comes with G-sensor technology which is a great feature should you find yourself in the middle of an accident. The G-sensor inside the camera senses even the slightest of unusual vibrations within the vehicle and then locks the footage during which this vibration occurred. This means if you get into an accident, you don’t have to worry about that footage being lost or accidentally deleted or corrupted as the file footage will be automatically saved and locked on the camera itself. The KDLINKS X1 also comes with Google Maps GPS technology, great for tracking your routes or tracking the routes of another driver who uses your vehicle. 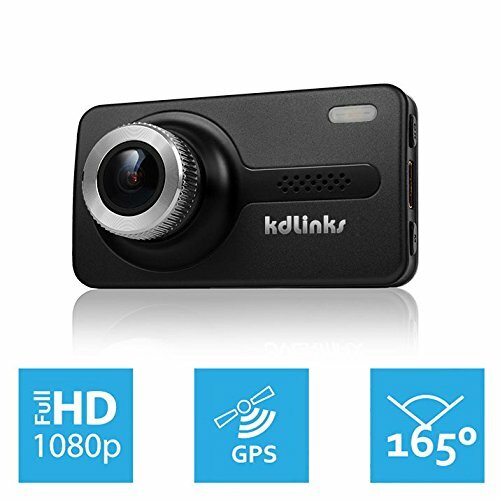 Great for parents who have kids or bosses of professional truck drivers, the KDLINKS X1 allows you to always stay informed about the whereabouts of your vehicle. It even allows you to check the speed along routes, ensuring that whoever takes your truck out drives safely. The Goluk T2 is an attractive dash cam for trucks. 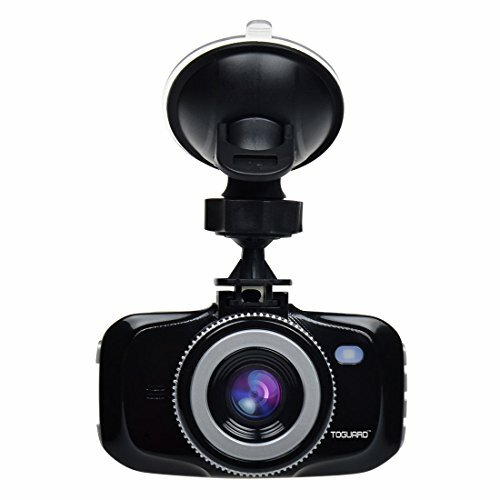 Shaped cylindrically like a telescope, the Goluk T2 can be attached to either your dash camera or your windshield and can be rotated a full 360 degrees into the desired position easily. Unlike the other dash cams on this list, the Goluk T2 even comes equipped with WIFI capability, allowing you to upload your video footage to Facebook or shared via e-mail through your smartphone. The Goluk T2 comes with a wireless remote and Magick Key technology allows you to take a 12 second video of any part of your journey with the simple click of a button. It also comes with a high-powered internal speaker and sensitive microphone so if you would like to record sound within the truck or the verbal exchange in the event of a traffic stop. For security purposes, this microphone even begins recording automatically any time somewhere is near your truck, within earshot. With all these amenities, in short the Goluk T2 is a high tech, superior choice if you can afford it. The Ausdom A261 lies on the other end of the price spectrum. Unlike the Gouk T2, the Ausdom A261 is a cheaper, no frills camera that won’t put a dent in your budget. But just because the camera is on the more affordable side doesn’t mean it should be overlooked. Recording at an impressive 1296P (or 720P or 1080P should you choose) the Ausdom A261 promises a clear picture and superior night vision capabilities. The camera also boasts GPS capability and loop recording so that no footage is ever missed whilst on the road. Even when your car is parked the Ausdom A261 is on guard, as it has a parking mode function that will begin to record footage as soon as it senses unusual vibrations inside the vehicle. 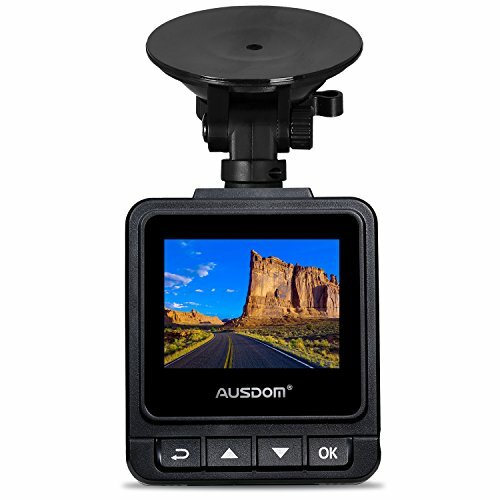 The Ausdom A261 can accept SD cards up to 64 GB meaning it will be a long time before your oldest files are written over, but the SD card does not come with the purchase of this dash cam so you will have to go out and buy one for the Ausdom A261. 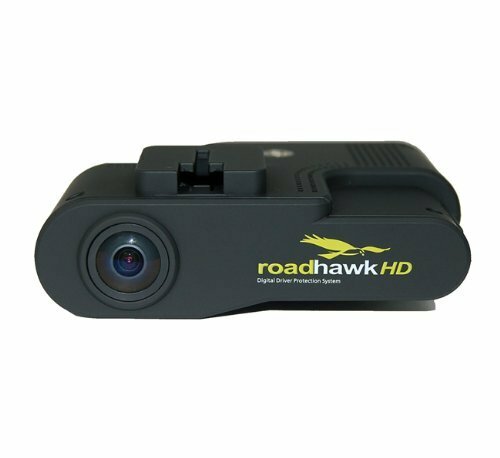 The Timetec Roadhawk touts itself as the number one dash cam in the UK, and is designed especially for playback with UK video devices. But with this said, the Timetec Roadhawk can function anywhere for anyone, as the file output is the universally accepted MP4. This allos for easy viewing on both Mac or PC devices. The Timetec Roadhawk comes with an 8GB SD card so it is ready to use straight out of the box, but SDXC technology means the Timetec Roadhawk can actually accept SD cards up to a whopping 128GB, the largest card size on this list. It also boasts G-sensor technology, GPS functionality, and an external microphone. With all the bells and whistles and an attractive mount that can be hidden seamlessly behind your rear view mirror, the Timetec Roadhawk is another excellent consideration for all truck drivers: commercial, private and anywhere in between. 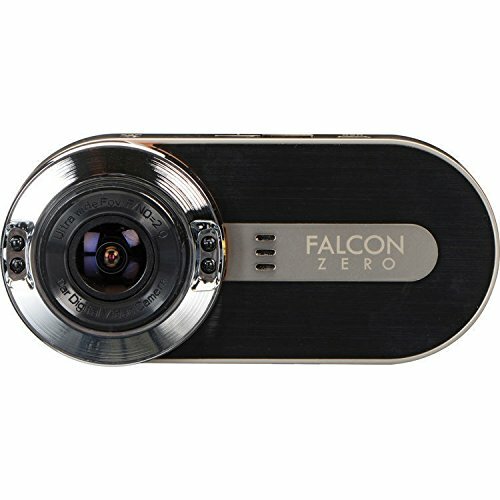 The FalconZero is a midrange dash cam which films in full HD at 1920x1080P. The FalconZero begins recording as soon as it detects your truck is in motion so you never have to worry about forgetting to turn on the camera when you get into your vehicle. The GPS dash cam software inside allows you to view your location and route either through Google maps or Bing maps and footage is filmed with an impressive 170 degrees wide angle lens, so nothing either side of the road escapes your sight. The camera is an attractive design made from sturdy aluminum which, more so than the plastic dash cams, means it is less likely to crack or incur damage to the body. The FalconZero also even be used like a point and click camera which makes bringing another camera on your next road trip unnecessary. Comes ready to use out of the box with a 32 GB SD card. The GJT T161 is the cheapest dash cam on our list. The GJT 161 can only film up to 1080P, but this may still be good enough for your specific needs. 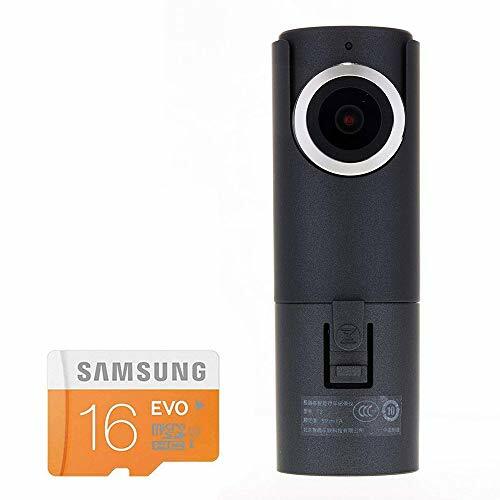 Ultra, ultra slim, the body of this dash camera is made with sturdy aluminum like the FalconZero and has a 3-axis G-sensor which locks video footage taken whenever an unusual vibration is felt within the vehicle. 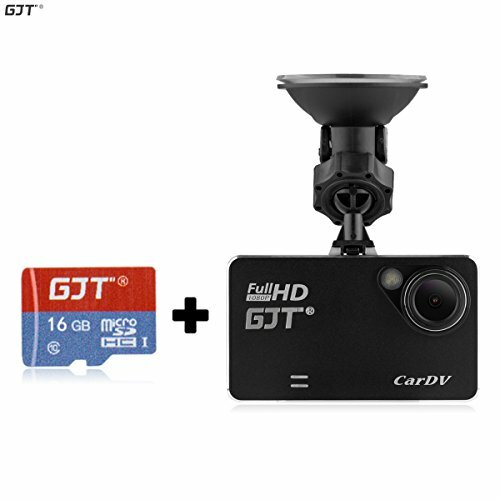 The GJT T161 also films continuously so you never miss even a second of footage on the road. When space on the camera is filled, it keeps recording, writing over the oldest files first, but never over those recordings which were triggered by the G-sensor technology. Despite the slim size, the GJT T161 does have a 2.7” LCD screen, more than big enough to be able to view your footage directly on the camera itself without having to worry about uploading files to a computer or external monitor to view them. The OldShark is the last dash cam for trucks on our list. At essentially the same price point as the GJT T161, the OldShark might be a better option. It is able to film in a higher quality resolution (1920P vs. 1080P) and it boasts a larger LCD screen than the GJT T161 (3 inches vs. 2.7 inches). It also comes with a parking guard technology. This means that even when your truck or large vehicle is not in motion, the OldShark has you covered. The parking guard will begin recording automatically when it senses vibration within the vehicle, providing excellent coverage in places like parking lots where accidents frequently occur. Furthermore, the OldShark’s aluminum shell allows the battery to operate in extreme temperatures ranging from -50 degrees Fahrenheit to 160 degrees Fahrenheit. Built in infrared lights ensure you get the highest quality footage whether you’re on the road day or night. Whether you are the owner of a large private vehicle or a professional driver of a fleet, a dash camera is an important purchase to consider. Diving a larger vehicle comes with its own unique set of problems, and it’s best to have a record of everything that happens on the road in case any kind of unforeseen event occurs. For drivers of trucks who spent long hours on the road, you will be sure to come across all kinds of different drivers, good and bad, while passing through a number of different climates and conditions. Along the way, every so often you will be sure to come across unfavorable weather, and this means the likelihood of an accident increases. As a larger vehicle driver, you know that more weight means more velocity, making it harder to stop. And if you are a commercial driver of a truck carrying cargo there is even more weight added into the equation, increasing the time needed for safe braking. In short, larger vehicles need more time to slow down, so if someone stops suddenly in front of you, you may not have the time you need to avoid a collision. Furthermore, a larger vehicle has a wider turn radius and you want to be sure that if for whatever reason someone doesn’t give sufficient berth to your vehicle when turning, you’ve got solid evidence to prove that you weren’t in the wrong. Also larger vehicles like trucks take up significantly more space in the parking lot making it more likely that someone might accidentally collide with some part of your vehicle. If the guilty party flees the scene, and you don’t have a dash cam recording the incident, the blame (and the cost) may very well fall to you. But with a dash camera recording your every move (and every move of the vehicles around you), you have the evidence you need to prove to your insurance company and law enforcement who really was at fault. Not only will this save you money, but it could also save you time and the uncomfortable experience of having to argue your case. With irrefutable evidence in your hand, should something unfortunate happen, you can remain calm knowing that the dash cam for your truck has your back. Professional drivers of commercial trucks either pay for their vehicles themselves (often costing upwards of $100,000) or are given a truck to drive by the company that has hired them. In either case, a great deal of money is at stake. Should anything happen to the large vehicle in question, thousands and thousands of dollars worth of damage can be incurred, this not including potential lawsuits and the income loss resulting from time needed to repair the vehicle. For this reason, it makes sense that truck owners equip their most valuable business asset with a dash cam. In a fleet of large commercial vehicles, equipping each of the trucks with a dash cam ensures not only the safety of the vehicle (and the driver) but also guarantees that the driver always drives safely and performs at his or her very best. With a dash cam in the cabin a driver is far more likely to drive courteously on the road, especially if he or she believes that the boss is going to review the footage later on. 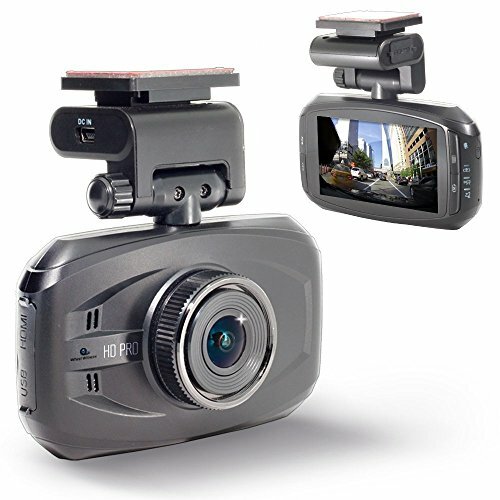 Additionally, the footage from these dash cams can be used as a training tool for new drivers. Driving schools around the world have already begun to use footage from dash cameras to show new drivers what should and should not be done in a variety of situations and circumstances. When training new drivers of commercial trucks, the same can be said. This footage can be used to show sensible maneuvers and dangerous blunders alike, turning theoretical ideas about defensive driving into real life examples that can be played over and over again. In addition to helping settle insurance claims quickly and fairly, dash cameras in fleet vehicles have also been known to lower insurance rates around the world. When driving there are both “preventable” and “non-preventable” accidents. In “non-preventable” accidents the two parties split responsibility for the damage, whereas in “preventable” accidents, usually one party takes full responsibility. If you are deemed fully responsible, it is more than likely that your insurance rates will skyrocket, costing you or your company hundreds if not thousands of dollars each year. If this comes directly out of your paycheck, essentially this means you will be doing the same amount of work for less. Worse, if you are deemed fully responsible for an accident that was not entirely your fault, your company may drop you or you may lose your commercial license meaning you livelihood is suddenly placed in jeopardy. This is especially important to note because larger vehicles sometimes have what are known as blind spots or “no-zones”. Because of the sheer size of the truck’s body there are sure to be places where the driver cannot see other vehicles. Because of this, the likelihood of accidents increases and because of the weight of the vehicle involved, the danger of this accident increases as well. Best to have video evidence on your side should anything occur as you change lanes. If you collide with another vehicle who was riding in a blind spot or a no zone, and you have the footage to prove it was not entirely your fault, you may avoid getting docked with the blame and incurring full responsibility for the accident, and this may prevent you from losing your job or having to pay out of pocket for the inevitable spike in insurance that results. Whichever way you look at it, if you are the driver of a larger vehicle, commercial or private, a dash camera is a smart buy. With advances in technology and increased competition, the prices of dash cams are becoming more and more reasonable. When considered against the potential costs that could result of not being able to prove one’s innocence in an accident, the choice is clear. It’s important to remember that with larger vehicles more money is at stake. Weigh the pros against the cons and the benefits of buying a dash cam becomes more and more obvious. Let the facts speak for themselves instead of having to rely on witness testimony or the bias of the police investigators. The truth is that sometimes accidents are unavoidable, especially considering inclement weather conditions, the unpredictable actions of other drivers, or unforeseen obstacles like debris on the road or erratic animals. While you can’t control these external factors, you can prepare yourself in the event of such a thing occurring. With a truck dash cam recording your every move, you can drive calmly knowing that no matter what happens, you’ve got another set of eyes on the road with you at all times.